For episode 47 of the Hop Cast Brad Chmielewski and Ken Hunnemeder are joined once again by Steve. Steve told Brad and Ken that he had never had a barelywine; so Brad decided to pull out a couple big guys from the cellar for them to enjoy. 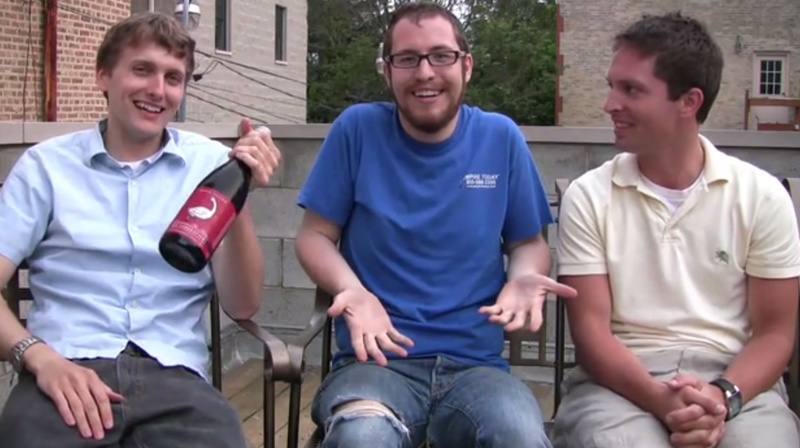 In this episode they sample and review the Old Aberration, a bottle from Goose Island’s 20th Anniversary Cellar Collection. The second beer they wet their pallets with is the Alaskan Barley Wine from the Alaskan Brewing Company. Both these beers come in at over 10 % ABV, which isn’t something to be taken lightly. Having issues listening to the video? Try the Quicktime (348.5 MB) or subscribe to the podcast on iTunes. Looks like I used the wrong lower third for Steve, guess I shouldn’t drinking and editing. that was a sad graphic. end of tape. Maybe Steve can recreate the story in a later episode.